A new poll conducted by the Kaiser Family Foundation found that nearly 80 percent of Americans want Congress and the President to modify the Affordable Care Act to make it work. They don’t want repeal and replace. The numbers are impressive: 95 percent of Democrats and 52 percent of Republicans favor a legislative fix to the current law. Even among Trump supporters, an absolute majority (51 percent) support such an approach. In fact only 17 percent of the public (although 40 percent of Republicans) believe the Trump administration should act to initiate the infamous “death spiral” by taking such steps as eliminating the universal mandate and withdrawing subsidies to poor people. Taking Medicare as a model of sweeping, comprehensive health care legislation, we can look at just how much the program was reformed by Congress in the first 15 years after the law went into effect. Passed by Congress in 1965, Medicare first became a reality on July 1, 1966. In 1972, Medicare eligibility was extended to people under age 65 with long-term disabilities as well as to those with end-stage renal disease. This was no minor tweaking of the program: today 9.1 million people out of the 55 million on Medicare are in the under-65-with-disabilities category. In the last year for which data are available, Medicare spent a whopping $30.9 billion on end-stage renal disease out of total expenditures of $646 billion. In 1973, “Medicare HMOs” were introduced. The federal government established standards for what benefits had to be provided, but basically outsourced plan design, management and marketing to private insurance companies. The name of this program has evolved over time, from Medicare Choice + to the current Medicare Advantage plan, but the idea remains unchanged: instead of enrolling in Medicare Parts A, B, and now D with deductibles and co-pays, Medicare enrollees can opt for one-stop shopping. Today, a record 17 million people, or 31 percent of all Medicare beneficiaries, are enrolled in a Medicare Advantage plan. Jumping ahead to 1980, the decision was made to broaden coverage of Medicare home health services, allowing more people to stay out of hospitals and nursing homes because they received physical therapy and occupational therapy, as well as visiting nurse services at home. At the same time, supplementary Medicare insurance plans (“Medigap”) for those people not enrolled in an HMO, came under federal oversight to cut down on all too common abuses found at the time. And then in 1983, in what was perhaps the most far-reaching reform of the Medicare program ever instituted, prospective payment was introduced for hospital care. What this meant was that instead of hospitals charging whatever they wanted—with Medicare dutifully paying soaring bills—Medicare set rates that were based on the expected length of stay for a given condition. The hospital got paid that fixed amount (adjusted for co-morbid conditions and geographic variation in the cost of living) regardless of how long a patient was in the hospital. In other words, patients with an unusually long length of stay cost the hospital money and patients who were discharged unexpectedly early generated revenue for the institution. The result of this innovation, in addition to controlling how much money Medicare spent on hospitalizations, was to shorten length of stay, moving much “post-acute” to the home or the skilled nursing facility. Reforming Medicare didn’t stop in the 1980s. 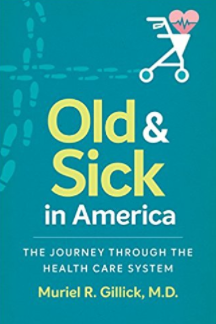 But my point is not to present an extensive history of the Medicare program (though if your interest is piqued, you might like my forthcoming book, Old and Sick in America: the Journey through the Health Care System); rather, it is to emphasize the complex, innovative, health care legislation seldom bursts onto the scene fully and impeccably formed. It usually needs to be fixed. The ACA is no exception.